While the vast majority of the genome is transcribed into RNA, only a small fraction of these transcripts have protein-coding potential. A large fraction of the transcribed RNA belongs to the class known as long non-coding RNAs (lncRNAs). Several recent studies have shown that at least some of these lncRNA transcripts represent functional RNA molecules. LncRNAs can utilize a wide range of mechanisms to regulate the RNA and/or the protein content of a cell on the transcriptional and the post-transcriptional levels. So far, many studies have identified differentially expressed lncRNAs in various physiological contexts, genetic disorders and human diseases. A steadily increasing number of studies could establish functional roles for some of these lncRNAs in developmental processes, cancer and tissue homeostasis. Taken together, these functions provide an additional layer of gene regulation and contribute to the high complexity of physiological and disease-related phenotypes. We thank Tracie Pennimpede and Reinier Boon for comments on the manuscript. We apologize to those colleagues whose work is not mentioned in this review due to space restrictions. The authors’ work is funded by the LOEWE-CGT (M.T.M.) 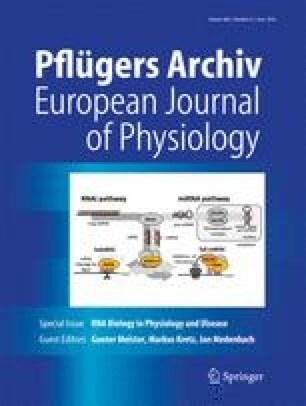 and the DFG (German Research Foundation) Excellence Cluster Cardio-Pulmonary System (Exc147-2) (P.G. ).